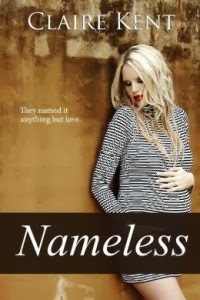 In this story Beth Ann Bennet is a 26 year old single mum who is training to be a social worker. She signs up to a dating website to try and find a man to study for her sociology module, which is focusing on gender stereotypes. To make her dating profile more attractive she tells some lies on it, changing her job, her age and omitting to mention her child. She isn’t ashamed of who she is, although she modestly underrates her attractiveness, but she isn’t actually pursuing a relationship here, just trying to get some research done. She even uses a pseudonym to sign up with. Will Darcy, gorgeous doctor, is trying to get some funding for a new clinic to provide treatment for single mothers and their children, who wouldn’t be able to afford treatment otherwise. His rich cousin, Bingley has agreed to make a large donation, in return for workaholic Darcy having 5 dates with somebody and bringing them to Bingley’s birthday party. This is why Darcy signs up for online dating. He is pretty truthful on his application, the only lie he tells is his reason for signing up. The story wasn’t was what I was expecting. From the title I expected a modern update of Pride and Prejudice with a recognisable story arc, but this doesn’t follow the lines of Pride and Prejudice at all. There are recognisable names and characters, but the dynamics between them are different, particularly between Beth and Will, and the events are pretty different. This is not to say that I didn’t enjoy the story, I liked it very much, but it wasn’t what I expected. The main similarity to me was the theme of realising what prejudices are held and overcoming them. Both Beth and Will were really admirable characters, if you could overlook the initial lying! He was so focussed on improving life for people who were struggling financially both for their benefit and for the greater good of society, and is also a caring son. Beth had been left by her husband around the time their baby was born and had been raising her son on her own since then while trying to train in a job that was more fulfilling emotionally than financially. I very much enjoyed seeing Beth and Will’s story, and there were many occasions when I doubted that it would be possible to provide them with a happy ending. In fact, I had real trouble putting the kindle down and I read it pretty much in one sitting! This is a story set in Texas in the late 1800s. Miss Adelaide Proctor took a job as a teacher after her father died, and part of the conditions of the contract were that she wasn’t allowed to marry for 2 years. At the end of this time, the potential suitors who she met when she first came into town have moved on. Adelaide has no family and she dreams of starting a family of her own, so she’s been concentrating her efforts on a young man called Henry, whom she doesn’t love, but likes enough to see as a potential husband. Henry works as a travelling salesman, so Adelaide only sees him about once a month, and when he gets a promotion he tells her he won’t be in the area again. Adelaide believes Henry is too shy to propose, so she decides to give him some encouragement, resigning her job and followings him to a new town where she is met with disappointment. 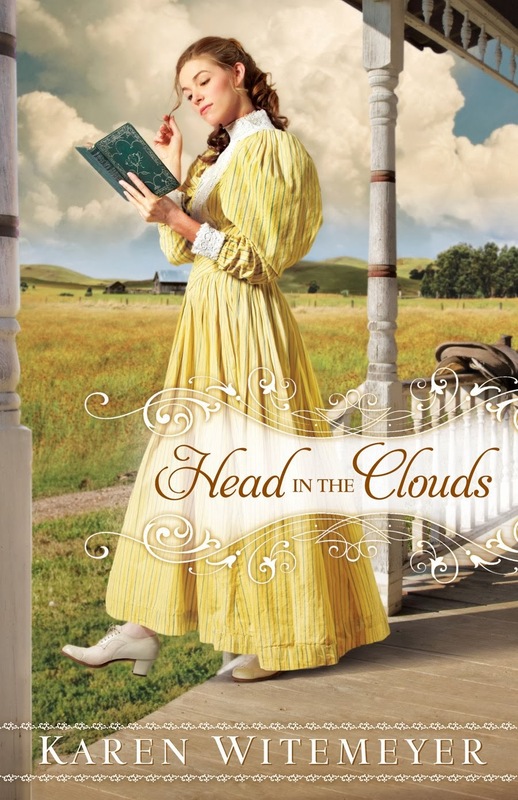 Adelaide needs a new job quickly, and is lucky enough to be given a chance of being a governess to Gideon Westcott’s 5 year old daughter, Isabella. The poor child lost her mother 5 months ago, and has been mute ever since. She is absolutely crushed by her grief, and Gideon isn’t so much looking for a teacher for Isabella, but somebody who will bring her back to a normal childhood. Adelaide is no stranger to grief and she and Isabella immediately bond. Adelaide also feels a strong pull towards Gideon, but she’s getting her head out of the clouds this time; he’s her employer, the son of an English baron, and she’s not exactly marriage material he’s likely to be looking for. In addition to this Adelaide is under the belief that Gideon’s wife has just died, not realising that he adopted the orphaned Isabella. Adelaide is a great character, she is fun, hard-working, brave, sensible and sweet. Her father used to call her his sunshine, and it’s an apt nickname, she is a very sunny soul! She has a genuine affection for Isabella and is patient with her, trying to draw her out of her shell and come out from the shadow her experiences have cast on her short life. Adelaide and Gideon’s attraction towards each other is almost instant, but it’s still believable, and you are rooting for them to get together when it becomes apparent that there is a very real danger threatening Isabella, and they have to work together to fight it off. There is quite a bit of action going on in this book, and I was riveted to the page! This book has a strong Christian theme, but I didn’t feel it was too much; Adelaide in particular has a bit of a spiritual journey in this book, starting off by being almost impatient with God for how her life is, and moving towards the realisation that rather than asking God to give her certain things in life she should instead have been asking for courage to do what needs to be done and patience to wait when needed. This is the first book I’ve read by this author but I would definitely read other books by her, I really enjoyed this read. Jane has never felt like she belongs; she lives with her mother, named Robin, Aunt Gertrude and Jane’s grandmother, Mrs Kennedy. Mrs Kennedy’s favourite child by far is Robin, she is the only person in the world she actually loves. But it’s an unhealthy, selfish love. She wants to keep Robin under her thumb, and resents anybody else that Robin cares for. Robin loves her daughter, but Robin is a weak person, and she doesn’t have the strength of character to stand up to her mother. To keep the peace, she tries to hide much of her feelings for her daughter, but enough is evident that Jane is resented by her grandmother. The grandmother isn’t abusive towards her, but she is belittling and cruel. Nothing Jane does is right, and she is constantly made to feel like a substandard disappointment. She has hardly any self-confidence and very little self-esteem. 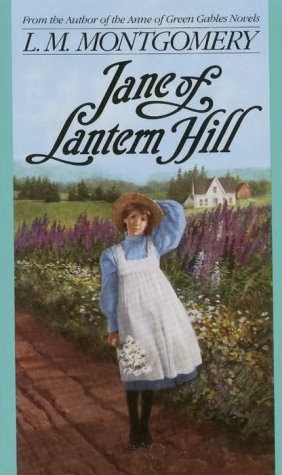 This was a wonderful story from the author of Anne of Green Gables. I love her style of prose, and Jane’s story was so touching. The first third or so of the book was heartbreaking in a very non-dramatic way, I felt so bad for poor Jane, a child should NEVER feel like this, constantly being belittled and her mother not standing up for her. I pitied Robin but I was also angry with her for allowing this – she knew how unhappy Jane was, and even if Robin was financially dependent on her mother I felt like she should have made more effort to be there for Jane, to love her in secret if need be. When Jane finally starts getting some positive encouragement and is allowed to do things in line with her natural abilities rather than being made to toe the line to what is deemed socially acceptable by her grandmother you can see her petals unfurl. I so enjoyed this story and I can’t recommend it enough, it is just wonderful! 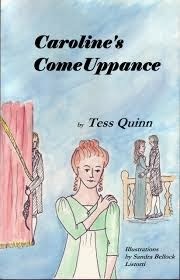 This is a young adult story, based on Pride and Prejudice. Elise (the Elizabeth character) and her family have relocated to California from Massachusetts. Her mother has taken a job as a school principal at a school that Elise and her sisters will attend. Elise is the second of four sisters. Her elder sister, Juliana, and she are very close. Then there is a bit of an age gap to Layla (the Lydia character) and the youngest in the family is 10 year old Kaitlyn. Juliana immediately catches the notice of Chase. His sister Chelsea is a bit of a snob, she is desperately trying to catch the notice of Chase's friend, dishy Derek. Derek's parents are Hollywood royalty and he is used to people noticing him, talking about him, and girls falling at his feet. He is very standoffish because of the amount of people who are trying to become his friend purely because of his parents' fame. He's not especially welcoming to Elise or Juliana, and Elise makes a new friend, Webster Grant (the Wickham character) who reinforces Elise's prejudiced beliefs that Derek thinks he's better than everybody else. Derek knows that Webster isn't the nice guy he portrays himself to be, and does his best to ensure that Elise doesn't get taken in by Webster's charm. 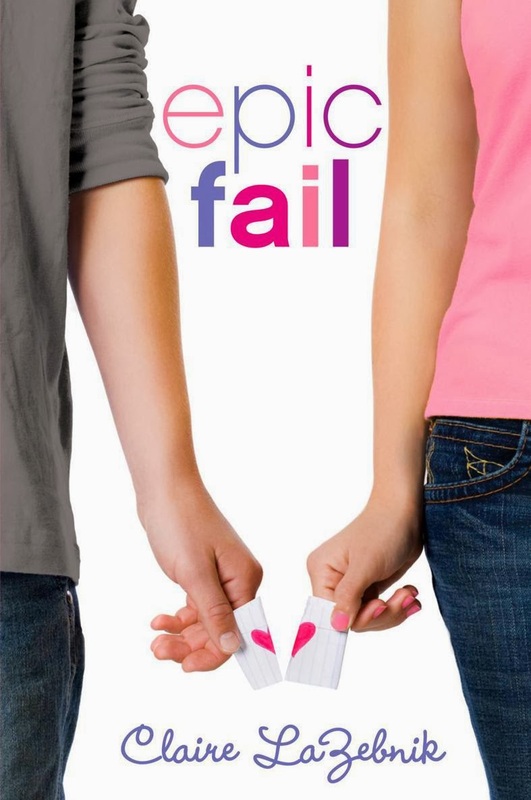 Although this is set in the modern day, and the characters are teenagers, many of the main events from Pride and Prejudice were recognisable, and some I thought were particularly ingenious, such as how Layla is rescued from Webster, and how Chase and Juliana's relationship is temporarily split. I thought that the Webster/Georgia (Derek's sister) back-story was particularly clever, because what he had done is plausible in a modern setting and just as despicable as Wickham's attempted behaviour in P&P. There were also some quotes which referred back to quotes in Pride and Prejudice, which I really liked. There were some differences however. Firstly, Derek is less flawed than Darcy - not only is he far less proud but he is far less active in his friend's relationship. Elise, although likeable, is less likeable than Lizzy. One of the things I always liked about Lizzy was the playful tone which deflects a lot of the hurt from her statements; Elise's sarcasm is much more blunt. I also wasn't sure what she saw in Webster. I know I was coming at it in the knowledge that he was the Wickham character and not to be trusted, but I thought he was a bit of an idiot. I felt the character of Layla was so much more sympathetically portrayed than Lydia Bennet, rather than being brash and uncontrolled she is desperately trying to be grown up and part of the tight relationship between Elise and Juliana, and they aren't letting her in. I also felt that the ending was a little bit sudden. I would have liked to have had an idea of what was going to happen after the end of the story. Miss Austen didn't give us an epilogue but she did give us some snippets about Elizabeth and Darcy's future, and we were clear where the relationship was going, but in this, since they are in different years in school and Derek is talking about moving away, it's not clear at all. 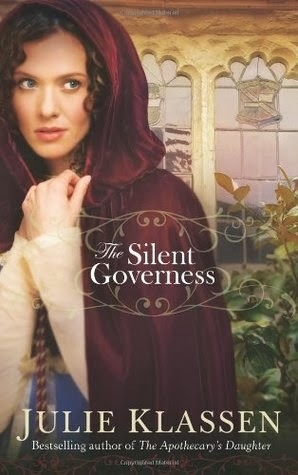 I thought this was a really good modern update of Pride and Prejudice, and I'd certainly recommend it. I think it's aimed at a teen audience and I would be happy to give it to a younger person to read. There are some vague references to taking things further than kissing, but nothing explicit, and there are only a few instances of swearing. 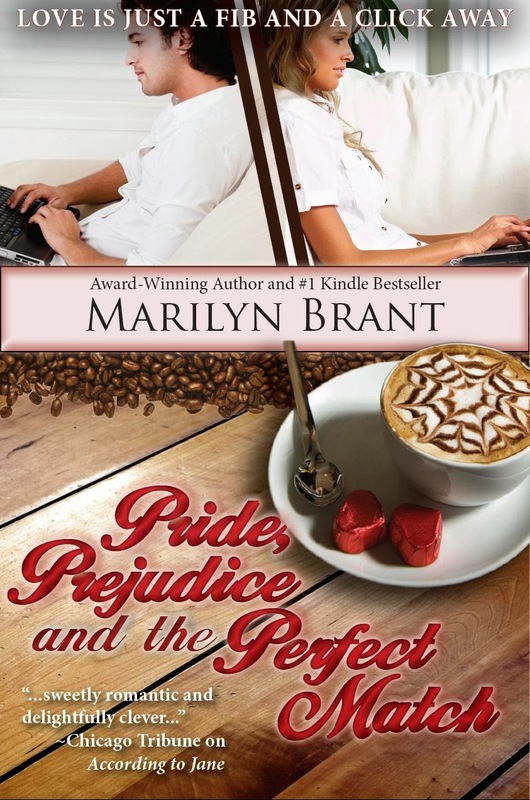 This author has updated some other Austen books; there is a Mansfield Park update (The Trouble with Flirting) and a Persuasion update (The Last Best Kiss) is due for release in April 2014, and I plan to read them both. Melissa has recently started working for Garth's company. She'd moved back to the area after her last relationship had broken up due to her ex-boyfriend's infidelity. This was particularly crushing for Melissa because she'd moved away from all her family and friends to be with and work for the boyfriend, Mark, and came home to find him cheating on her with her only friend in the area. It's taken Melissa a long time to get over it, but she loves her new job and is pretty attracted to her new boss, who is known as 'the human calculator' because he shows so little emotion. Garth is brilliant at his job, but intensely private and is the first to admit that he doesn't do relationships. Melissa is getting ready to watch Garth's new presentation at an event when she spots Mark. He has the cheek to approach her and pityingly ask her how she is coping. To annoy Mark, Melissa hints that she and Garth are in a relationship. 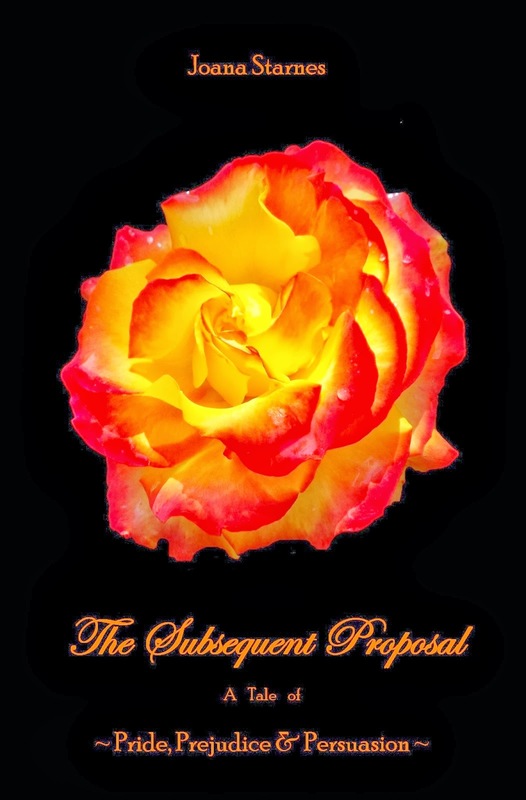 Unfortunately for Melissa, Mark embellishes the story, and passes it off to the press, and within a day or two there is a story proclaiming that the Human Calculator has become engaged to Melissa. Garth has very few people in his life that he cares about - one of them is his grandmother, who brought him up after the death of his parents. Garth's grandmother is elderly, and is fighting off pneumonia. She is overjoyed at the thought of him getting married and he doesn't have the heart to tell her the truth until she is stronger. He is also hoping to land a funding partner and avoid any type of scandal so he persuades Melissa to play along as his fiancée. Although both of them are clear that they don't want a relationship, neither is prepared for the level of attraction they feel. I only realised after finishing the book that it's book 2 in a series, so I think it reads pretty well as a standalone. I have a guilty weakness for marriage of convenience and fake fiancée scenarios, even though the ending is usually assured and they are often formulaic! However, this was quite a fresh take on it. I liked the fact that both of them genuinely weren't on the lookout for a relationship, having both been burned in the past and not wanting to mix business with pleasure so they both fight it. In Garth's case there were also a few other factors preventing him from pursuing a relationship with anybody. I was really enjoying the book but I felt it was let down somewhat by the ending, which seemed unlikely and unrealistic, I couldn't imagine most people behaving like that, and it seemed particularly out of character for Garth. I thought it would have been far more romantic and likely if it had been much more private. On the whole, despite the slightly disappointing ending, if you enjoy fake fiancée stories, this is probably worth a read.